I haven’t been able to post last Thursday’s workout, but it was awesome, we paired it with the 300 rep ab workout so I guess technically that’s 600 reps! We started out with a 5 minute jog warm up. We also added 6 line sprints every 3 workout moves. Saturday’s run was very difficult to me. I told myself I want to get to 3 miles and if I wasn’t in a grove I would get off and do the elliptical. At 3 miles I felt great and made it to six miles. My average pace was the slowest to date, I finished six in just under an hour. But I know I have to listen to my body and do what it tells me! After I get done at the gym, I always bring my kids back to get some energy out. We use our college gym, and they have a basketball court so we take the kids in there to shoot around and play. Cael has been working really hard at basketball and he will start officially next week. Devin does a great job working with him, and he is quite the little player for it only being his first year. Fellow parents, how do you get your kids out of the house? Hey I just checked out your blog for the first time and I love it! I love seeing kids active too! 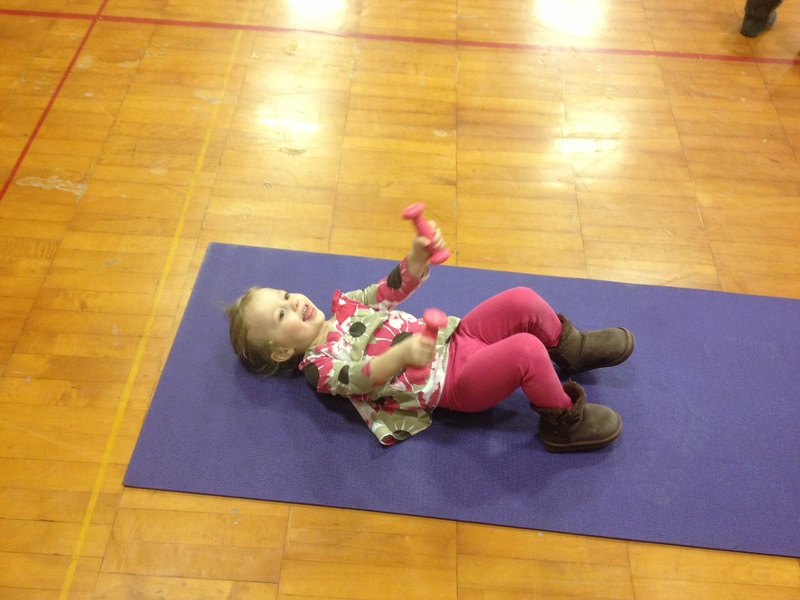 We have a kids yoga at my gym and I just love popping my head in to see them all! 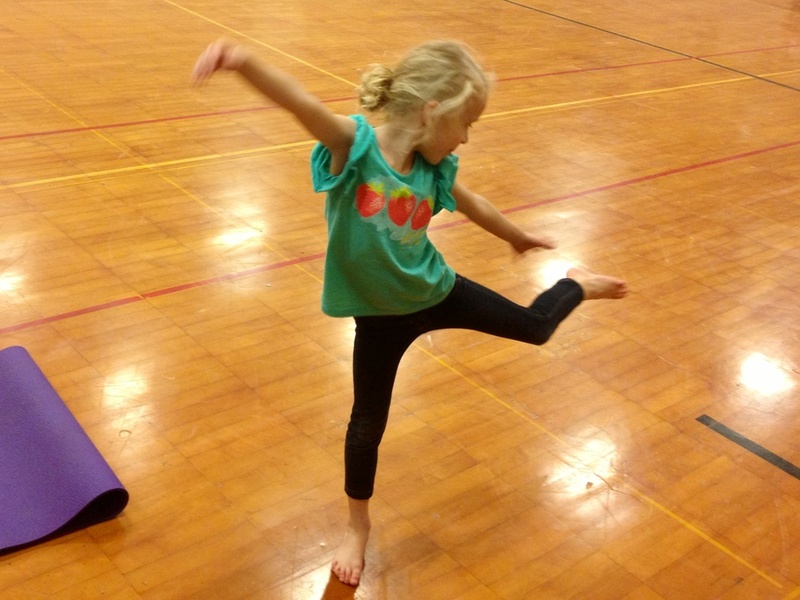 Kids yoga would be so entertaining to watch!! I love, love, love when parents are active. I think by modelling healthy, active behaviour, your kids are already leaps and bounds ahead! Thanks, it takes a lot of time and effort but it is so worth it!